Discover the effective art of small steps to reach your goals and live a happy life. With help of a simple system described in this book you’ll be able to change your life. What is the difference between a goal and a dream? First of all, it’s a plan. If you have a plan of how to achieve your goal, you’re ready to act. However, to start doing something and continue doing it every day, independently of your schedule and mood, is a stumbling block for many. Thatâ€™s what Kaizen was created for. 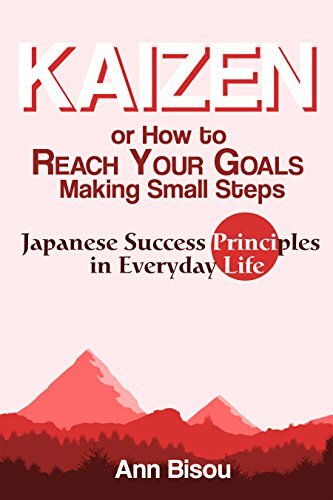 This book will teach you to pursue your goal not only in your mind but do small steps on a regular basis to come where you want to be.